The Huddle Capital team were looking for a quick way to get their peer-to-peer lending platform to market, aware that the direct FCA authorisation would be a lengthy and arduous process. They wanted to launch their platform as soon as possible, so they came to us to shortcut the process and reduce the internal compliance workload. The Huddle team wanted to fulfil their vision, growing their loan book and securing a position within the UK’s peer-to-business lending market, with a focus on small- to medium-sized local businesses. Their authorisation as an AR allows them to keep their costs down by providing access to an experienced compliance team. By becoming an AR, Huddle, as a new entrant in the market, has been able to step into an increasingly competitive market quickly, without engaging valuable time and resources in a lengthy authorisation process. They do so under the guidance and permissions of an existing firm who has invested considerable time, resources and energy to achieve FCA authorisation. At the beginning of the process, Appointed Representatives are required to submit a detailed application form. This is reviewed by our team, and detailed background, competency and feasibility checks are carried out, not only for the company, but also its directors and key staff. The rebuildingsociety.com board then decides whether or not to onboard the prospective AR. Following the confirmation that Huddle was approved by rebuildingsociety.com, the thorough, in-depth onboarding process began. This had to be completed before Huddle was allowed to launch. The two companies worked together closely to put in place the systems and processes necessary to a run a peer-to-business platform, and Huddle’s directors and staff were taken through a detailed training course on P2P and P2B regulation. The rebuildingsociety.com team then reviewed Huddle’s operational systems, technology and competency, before completing the final sign off. This is a requirement before the AR can begin onboarding clients and trading. 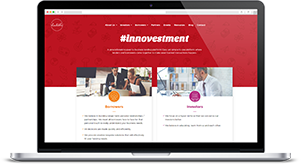 As an experienced firm, many of our policies and processes are into their fifth iteration. Balancing the practical needs of the business with the compliance requirements is a process of continuous refinement. By setting out with a mature set of procedures, our ARs are able to grow and scale efficiently. The onboarding and setup of the Appointed Representative’s site is just the beginning of the AR-Principal relationship. Since the launch of the platform, the rebuildingsociety.com and Huddle teams have been in contact daily, ensuring that key processes, such as the management of client money and client communications, are handled correctly and in line with regulations. Each month, Huddle produces a report for rebuildingsociety.com. We are obliged to report back to the FCA on the progress of all our ARs, a responsibility that is taken very seriously by the whole team. Following a period of bedding in and growth, Huddle will consider applying for their full authorisation from the FCA. In the meantime, we will continue to be their Network Principal, answering questions, resolving queries and ensuring that they comply with all relevant rules and regulations. Huddle Capital is a brand new, Leeds-based peer-to-business lending platform, born from existing finance business, Access Commercial Finance. 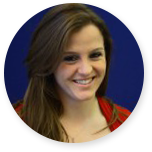 The team behind the new company includes entrepreneurs, solicitors and financial experts and professionals. 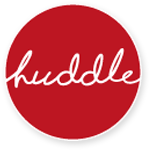 Huddle Capital were the first appointed representative to join our peer-to-peer lending network.